HydroTops Floral Boost contains no PGRs, concentrating instead on only using high-grade, raw, plant useable ingredients. For extreme flower production and increased essential oils, combine Floral Boost with Top Heavy Crop and Triple F to get end-results that will impress even the most seasoned growing professional. 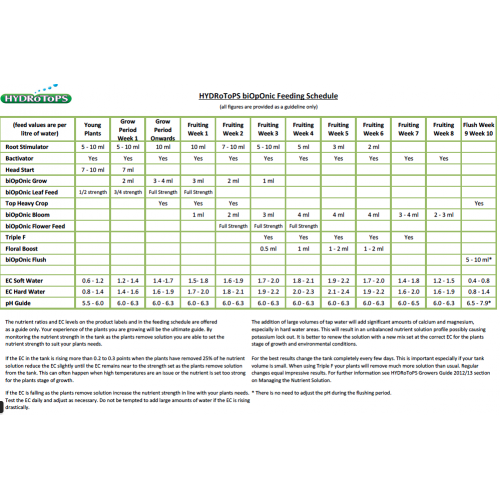 During the fourth to sixth week of flowering your plants' nutritional uptake continues to rise rapidly and also changes drastically before reaching its flowering climax. During this time frame, the need for easily accessible, high-quality phosphorus, potassium, magnesium and ammoniacal nitrogen increases, so they can get depleted in a short space of time. 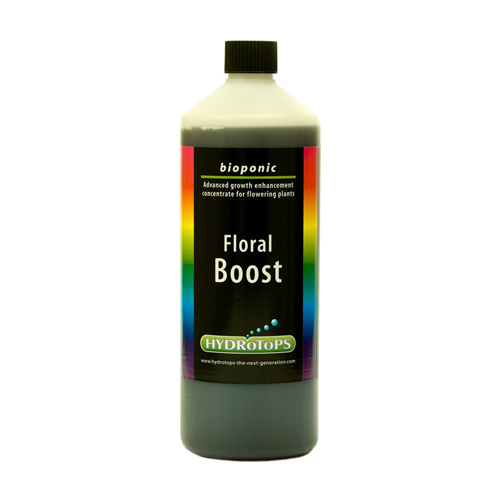 HydroTops created Floral Boost for this explosion in demand at this key time in a plants flowering cycle and like all HydroTops products the HydroTops Floral Boost increases assimilation of these key ingredients.